We are familiar with this story that our lectionary brings for this second week of Lent. We know it well. Abram is called to go forth, called to leave what he knows and become someone new. We know that it will end with him becoming Abraham. It is the beginning of Israel, the beginning of Judaism, and, ultimately, the beginning of us and our own faith story. The story quickly moves from a broad sweep of humanity to a focus on one family and one person. Perhaps it was a way of reminding us that humanity is not just a glob of no-name people but is rather made up of individuals, each children of God in their own right. We like this story of our hero Abraham. What courage, what persistence, what faith it would take to leave one’s home, to leave everything that one knows and to follow God. It is that to which we all aspire and to which most of us fall incredibly short. We struggle with what leaving would mean for us. After all, what would it mean to you to just lock your doors and walk away, never looking back at the comforts and certitudes of your existence, never look back at all the stuff you’ve gathered and stored, never look back at this life that you have so painstakingly created? And, yet, think about it. Abram’s people were nomadic, wandering aliens. Their sense of “home” was not the same as it is for us. And family? Well, Abram had more than likely outlived his parents and he had no children. Who was he leaving behind? What was he leaving? Maybe God was calling him from hopelessness and loneliness and barrenness and finally showing him home. Maybe God was not calling him away but toward. Maybe that was the promise. And yet, Abram still had to have the faith to go into the unknown, to trust in the promise that God was beginning to reveal. Maybe that’s the point that we are supposed to learn–not that God calls us to leave behind what we know but that God calls us to journey into the unknown, to journey beyond what we know, to journey far past those things of which we are certain. It is called faith. We are not called to know, to be certain. We are called to trust that the Promise is real. Do you remember the Star Trek mission–“to boldly go where no man has gone before”? (Well, it was the 1960’s so I’ve made it more inclusive for the title of this post.) I’m not really that big a Star Trek fan (more of a Princess Leia, Luke Skywalker, and Han Solo kind of gal!) but I remember watching it when I was little. There was something that drew me in. Perhaps it was that notion of going beyond, traveling to a place where no one had ever been, a place where parents and mentors and clergy, where books and Scriptures and songs could talk about but never really fully depict exactly what it was. God does not call us to “figure it out”. There are no “right” answers. In fact, I have found that really good discussions of faith matters generally create more questions. (Thanks be to God!) 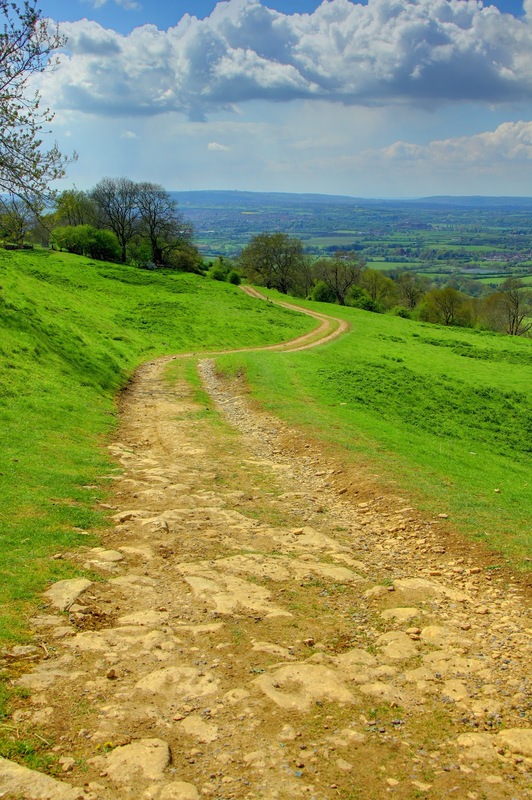 God doesn’t expect us to blindly follow into certainty but rather to leave what we know behind and journey far into the unknown, into the wilds of our lives where the pathway is less paved and worn down by others. Maybe that is why Lent begins not in the Temple but in the wilderness, where the winds blow the pathways into changing patterns rather than roads and the sands swirl and blind us at times. Maybe it is when we leave behind what we know that we can finally hear the way Home. That is the Promise in which we trust–that somewhere beyond what we have figured out and what we have planned and for which we have prepared is the way Home. As this second week of Lent begins, of what are you certain? What would it mean for you to leave your certainty behind and journey into the unknown? We like this story of our hero Abraham. What courage, what persistence, what faith it would take to leave one’s home, to leave everything that one knows and to follow God. It is that to which we all aspire and to which most of us fall incredibly short. We struggle with what leaving would mean for us. After all, what would it mean to you to just lock your doors and walk away, never looking back at the comforts and certitudes of your existence? And, yet, think about it. 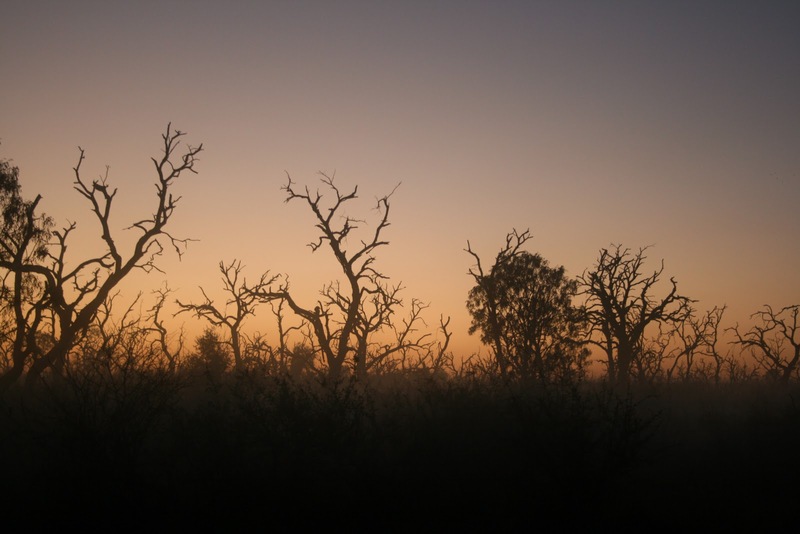 Abram’s people were nomadic, wandering aliens. Their sense of “home” was not the same as it is for us. And family? Well, Abram had more than likely outlived his parents and he had no children. Who was he leaving behind? What was he leaving? Maybe God was calling him from hopelessness and loneliness and barrenness and finally showing him home. Maybe God was not calling him away but toward. Maybe that was the promise. And yet, Abram still had to have the faith to go into the unknown, to trust in the promise that God was beginning to reveal. Maybe that’s the point that we are supposed to learn–not that God calls us to leave behind what we know but that God calls us to journey into the unknown, to journey beyond what we know, to journey far past those things of which we are certain. It is called faith. We are not called to know, to be certain. We are called to trust that the Promise is real. 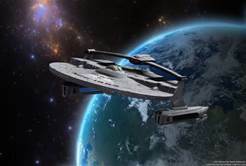 Do you remember the Star Trek mission–“to boldly go where no man has gone before”? (Well, it was the 1960’s so I’ve made it more inclusive for the title of this post.) I’m not really that big a Star Trek fan but I remember watching it when I was little. There was something that drew me in. Perhaps it was that notion of going beyond, traveling to a place where no one had ever been, a place where parents and mentors and clergy, where books and Scriptures and songs could talk about but never really fully depict exactly what it was. When I was little, we had a manger scene that sat on the entry table of our home during the Advent and Christmas season. I think that it was probably my favorite decoration. Putting it out meant that Christmas was here. And during the season, my brother and I would continually move it around and change the story a bit. Sometimes the Mary and Joseph were in the stable and other times they were carefully but precariously placed on the roof. Sometimes the Shepherds were herding the camel and the Wisemen were traveling with a sheep or an angel. And sometimes the baby was in the manger and other times the character would show up in various other places throughout the house. But, always, at the end of the season, it was sad to me to put the manger scene away, to rewrap all the characters in their tissue paper that they wore for most of the year, put away the baby, and close the box. It was over. It was time to go back. Now is the time. What now? What do we do after it all ends? The truth is, “after” is when it begins, “after” is when it becomes real, and “after” is the whole reason we do this at all. In the Gospel text for this Sunday, we find the last (and maybe the main!) question of Advent. It comes not at Christmas Eve in the midst of the candlelight and carols but after. And, believe it or not, it’s not asked by those who had been waiting and hoping for it to happen. It is asked by some who knew nothing of its happening before. All they knew was what followed, what came after. 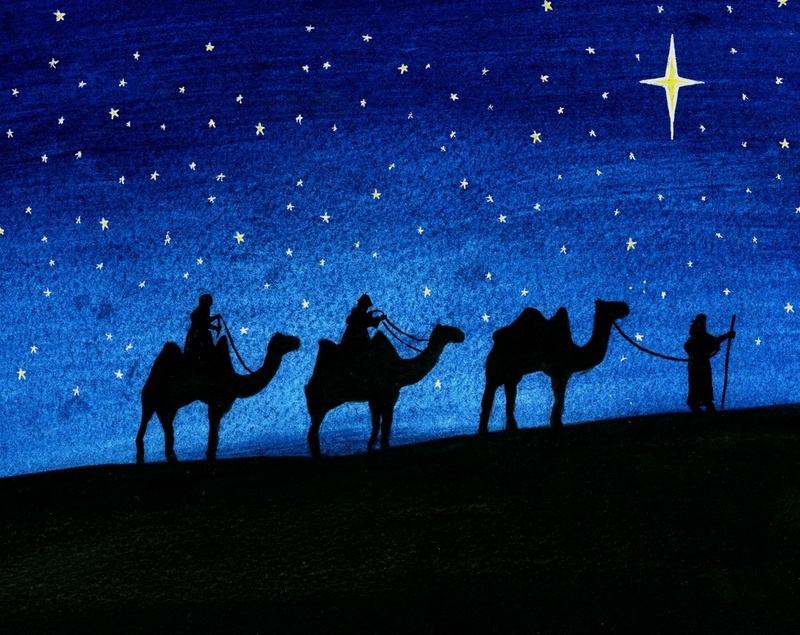 But they believe that the star (or, for some, an unusual conjunction of heavenly bodies that produces an especially bright light) marks the birth of a special child destined to be a king. They ask, “Where is the child who has been born king of the Jews? We all know the story of the Wise Ones from the East (Wisemen, or Magi, or Kings, or Zoroastrian followers, or whoever they were numbered in three or however many tradition holds). They came at the request of King Herod. They came supposedly to “pay homage”, but we know that that was not the case. The truth is, Herod had heard that there was a new king in town and for him that was one king too many. So, “paying homage” was only a precursory mission leading up to the demise of this new competing ruler. We are told that they brought gifts, gifts fit for a king. 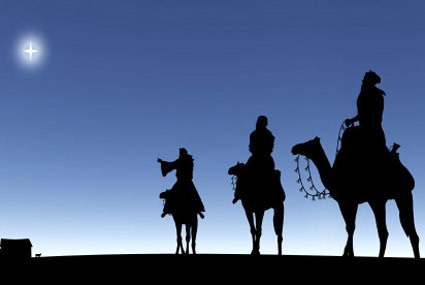 And then the passage tells us that, heeding a warning in a dream, these wise and learned (and probably powerful) members of the court of Herod, left Bethlehem and returned to their own country, a long and difficult journey through the Middle Eastern desert. Rather than returning to their comfortable lives and their secure and powerful places in the court of Herod, they left and went a different way. They knew they had to go back to life. But it didn’t have to be the same. So they slip away into the night. Herod is furious. He has been duped. So he issues an order that all the children two years old and younger in and around Bethlehem should be killed. The truth is that Jesus comes into the world as it actually is, not as we wish it to be. Evil and greed are real and the ways of the world can and do crush life. This passage moves the story beyond the quiet safety of the manger. We realize that the manger is actually placed in the midst of real life, with sometimes dark and foreboding forces and those who sometimes get it wrong. The primary characters are, of course, God and these visitors, these foreign Gentiles who did not even worship in the ways of the Jewish faith. They were powerful, intelligent, wealthy, and were accustomed to using their intellect and their logic to understand things. You know, they were a lot like us. But they found that the presence of the Divine in one’s life is not understood in the way that we understand a math equation. It is understood by becoming it. Maybe that’s the point about Christmas that we’ve missed. Maybe it’s not just about the nativity scene. Maybe it’s more about what comes after. We often profess that Jesus came to change the world. But that really didn’t happen. Does that mean that this whole Holy Birth was a failure, just some sort of pretty, romantic story in the midst of our sometimes chaotic life? Maybe Jesus didn’t intend to change the world at all; maybe Jesus, Emmanuel, God with Us, came into this world to change us. Maybe, then, there IS a new normal. It has to do with what we do after. It has to do with how we choose to go back to our lives. Do we just pick up where we left off? Or do we, like those wise men choose to go home by another way? The point of the story is actually what comes after. And that, my friend, is where you come in. So, the baby cannot just be put away in the manger scene box. The Incarnation of God happens over and over and over again. Christmas day happens each and every time that we see God in each other, that we see the sacred in this world, and that we see that we have the Divine all over us. We cannot go back to life as it was. It doesn’t exist. There is indeed a new normal that comes after all of the celebrations and after all of the birthing. 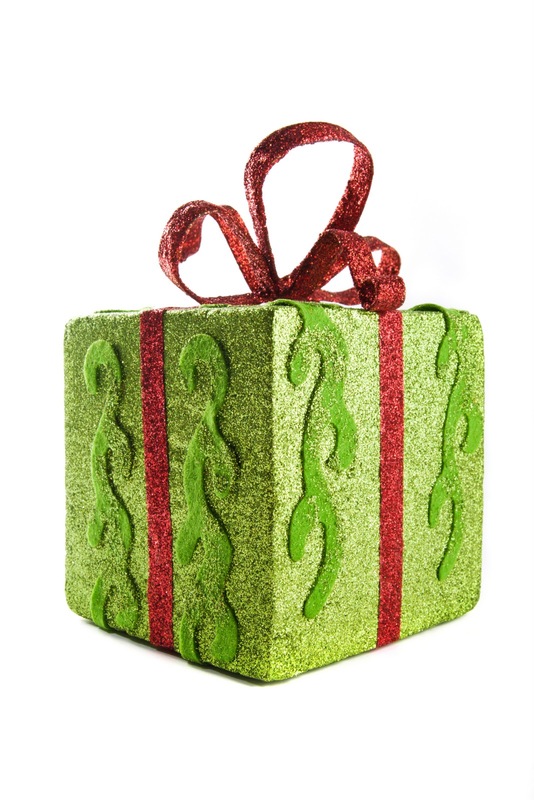 So, in these days after Christmas as you put the decorations away for another year, look around at your new normal. Look around at what comes after. What are you called to do? How have you changed? What other way will you travel home? To teach the nations, To bring Christ to all, To make music in the heart. I heard today that “selfie” is the word of the year for 2013. Amazing, really, that the most prevalent part of our lives as a people and as a culture has to do with taking a picture of oneself; in other words, the thing that we have elevated to the most descriptive part of who we are is a focus on our selves. But look, look up ahead! There is so much out there. There is beauty that we’ve never seen and things that we’ve never experienced. There are those that can teach us, those that can lead us, and those that can walk with us. There is more to us than our selves that we have fabricated, the selves that we think are “photo-ready” for the world. Once again, we find ourselves standing at the gate of a new year. We’ve done this before. We’ve made resolutions and with every part of our being have meant to change our course, to do things differently, or to make our lives better or more fulfilling. Perhaps our problem is that as we enter the gate each year, we enter something new but we somehow manage to drag our own baggage with us. We step through the threshold still harboring regrets of past failures or fears for what may lie ahead. We don’t really want to let go of those selves that we have worked so hard to show to the world. Our eyes are still inwardly focused. 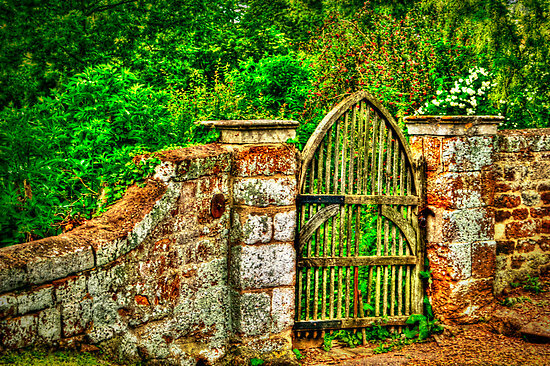 This gate is a place of liminality, where our eyes are opened to both the past and the future. It is the place where we connect to both. Now I don’t think that we can possibly separate one time from the next, nor do we want to. God has placed us in a world that was here long before any of us came to be and one that will more than likely be here long after any of us are gone. We do not exist in a vacuum. Each of our years builds upon the ones before and our lives build upon lives that came before us, some of which we never knew. Each of us are called to be builders, one brick at a time, to build this road that God lays before us. So which brick is yours to place? What part is yours to build? And what parts do you have to set down and leave behind so that your hands will be free to build? Devising something new…no pressure there! But maybe it’s not a “thing”. Maybe it’s just a new way of looking at one’s life, a way of looking at the world and one’s place in it. It means oh so much more than a selfie! (Which I guess is no longer put into quotes since it is apparently an actual word!) This gate is the place where we embrace what we’ve been handed from those that came before us as well as the self of our past. This gate is the place where we can peer into the unknown. The gate is the place where we begin our new selves. I stand at the gate of this new year. I do not know what the other side will show me or what the road will hold. I know that there are things that I love, things that I think in this moment that I cannot live without, that I will leave behind and people and things that I do not know that will become part of me. I know that I will feel joy and grief. I know that there is beauty that I have not seen and lessons that I have not learned. I know that there are things that I will discover, things that I will write, and things that I will make my own. I know that there are new dances to dance. I know that there are those things that will bring me closer to God. But, above all, I know that the other side of the gate holds God’s vision for me, the vision of the self that I am supposed to become. Guardian of the New Year, I set aside my fears, worries, concerns. I open my life to mystery, to beauty, to hospitality, to questions, to the endless opportunity of discovering you in my relationships, and to all the silent wisps of wonder that will draw me to your heart. I welcome your unfailing Presence and walk with hope into this New Year. Amen. First of all, with all due respect to Mr. Handel’s presentation, this passage was probably not originally written with us or our tradition in mind! This really is talking about the people of Israel. It really is talking about bringing comfort to a people who have wandered in the Judean wilderness. Probably written toward the end of the Babylonian exile, this writing offers a vision where a highway (a REAL highway) through the wilderness will be made level and straight. If, as most assume, this part of the book that we know as Isaiah was written after the exile, it would have been soon after 539 BCE when Cyrus of Persia conquered the Babylonians and, not really caring whether or not the Israelites stayed, allowed them to return to Jerusalem. So imagine a highway that, typical of the ancient world, would have originally been built to accommodate royal processions. And so God is depicting a highway made for a grand procession led by the Almighty. The just-released exiles are returning. But to what? Their city and their way of life lay in ruins. They can’t just go back and pick up where they left off. They have to feel that God has deserted them. They are looking for comfort. They are looking for solace. They are looking for God to put things back the way they were before. But God has something different in mind. Rather than repair, God promises recreation; rather than vindication, God promises redemption; and rather than solace, God promises transformation. God is making something new–lifting valleys, lowering mountains, and ultimately, when all is said and done, revealing a glory that we’ve never seen before. In this Advent season, we are given the same vision. We are not promised solace. We are not promised that Emmanuel, God With Us, is coming to put our lives back together. In fact, can you feel it? The world has begun to shake. The valleys are rising; the mountains are leveling. Something incredible is about to happen. The light is just beginning to dawn. Life as we know it will never be the same again. Soon the fog will lift and we will see that the road does not lead back. It instead leads us home. But we’re going to have to be willing to leave what we know. In this season of Advent, give yourself the gift of not going back so that God can show you the Glory that is about to be revealed.